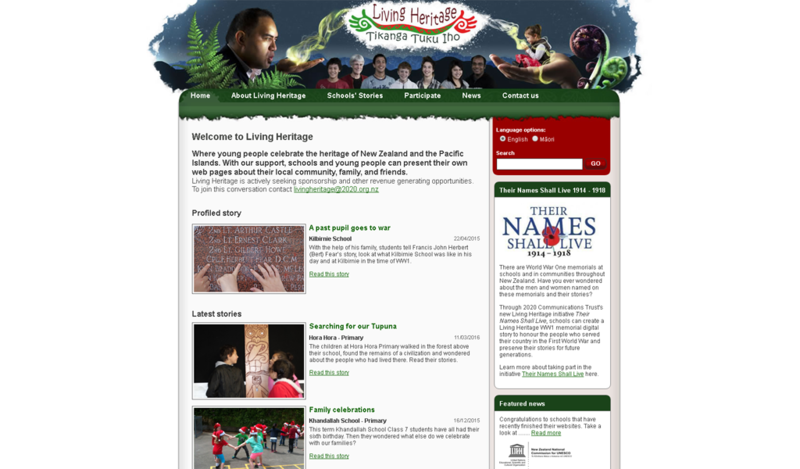 Living Heritage is an online bilingual initiative that enables New Zealand schools to develop and publish an online resource, based on a heritage treasure in their community. 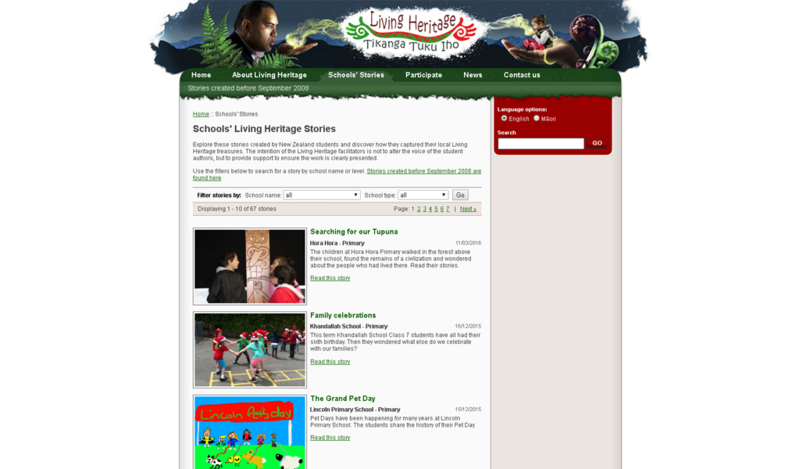 Living Heritage preserves history and culture in a digital format for every generation, and allows children's voices to present a view of New Zealand on the World Wide Web. 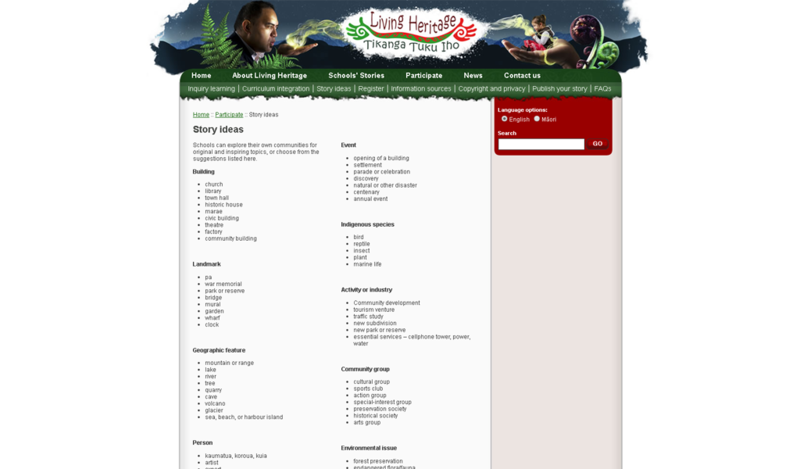 It is linked to the curriculum in schools. Working as individuals or in groups within their schools, students take the role of researchers, storytellers and web publishers of unique stories of their region and families.